Mantana On-nut ring road is develop by LH. This project was oberved because i want to survey the higher price level. Mantana selling point is the tropical garden. Various type of plant easily found along the village road. The club house represented the luxurious resort. The swimming pool is surrounded by garden. The location of Mantana is hidden in the local road, so it required for own vehicle. The project is located in the deep Soi. In this soi you can find many new housing projects. The local road is linked with eastern ring road which is the most convenient way to go to your desired destination. The local road also linked with On nut andSrinakarin road. In rush hour, the congestion is expected. The project is not newly launched so there are many neighbors live in this village. 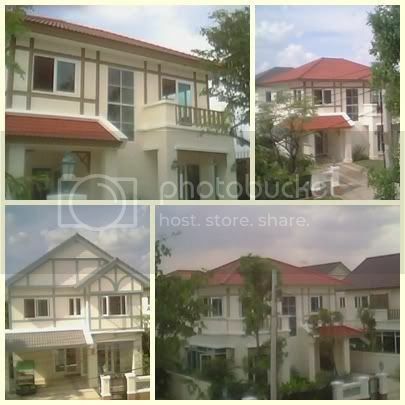 The house model that i visited is priced early 5 million Baht. The design is very good with island kitchen concept and it look spacious. In my opinion, Chonlada is better. Initially when moving home down sizing can feel like a step backwards. Space- or the impending lack of it- is obviously a common concern. However with careful planning during the design or decoration period, a more compact space can actually improve the quality of our lives through giving us back the most valuable commodity- time. Less space means less cupboards, drawers, shelves, floor space, pots, pans etc. This in turn means less clutter which in turn means less time cleaning. The key word here is efficiency. You must be streamlined if not cut-throat in your decision making! Only take with you what you really need- now is not a time for knick-knacks. A more minimal and open plan design will create the illusion of more space. That is not to say you cannot add colour or interest to a room. A brightly coloured settee or kitchen work surface not only provides visual stimulation, but also helps define areas as separate spaces- thereby further increasing the feeling of space. A change in flooring will also help indicate spatial perimeters (i.e. tiles in the kitchen and carpet in the sitting room). Physical barriers between areas are allowed but try to squeeze as much use out of them as possible. A particularly effective way to separate the kitchen and living room is with a breakfast bar in place of a wall, you could also incorporate much needed storage underneath. Now you have a room divider, storage and a sociable dining area where you can keep an eye on the chef and your favourite T.V. show at the same time. You have also cut out the need for a wall and for a bulky dining table thereby increasing the active space of your home and decreasing wasted space. The settee can also be used to create a physical barrier between two spaces and prevent the living room from becoming a corridor-like access route to the kitchen. Rather than a conventional three piece suite which can waste an awful lot of space, investing in a modular corner couch system can be a much shrewder move. Instead of fitting the couch into a corner of a room, turn it the opposite way to define the perimeter of your living space. The modular system means that the couch is able to separate into smaller sections thereby allowing you to fit it to the shape of any room which again meaning less space wasted. A room can effectively be cut in half using this method, meaning a study or games area can be created in one half whilst still allowing people to relax in the other. Try to keep harmony between soft furnishings and fabric covered items for a more cohesive feel to your scheme- a patchwork of patterns or materials will only obstruct the flow of a layout resulting in a disjointed effect, whereas similarly patterned cushions, curtains and rugs will combine to create a soothing ambience. With a little imagination down sizing can be seen as a positive way to organise your home and its contents effectively. Terrys Fabrics retail in curtains and fabrics. 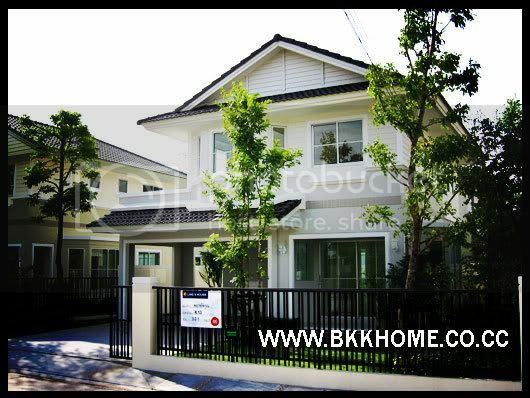 How can foreigner purchase land and property in Thailand? Have you ever wondered about living in a place that's always warm and the people friendly? Welcome to Thailand, the land of peace and smiles. Land and Houses is proud to invite you to live in this wonderful country. Because we know there are many foreigners who are finding for a house in Thailand, so we are glad to provide this useful information for you to help you move and successfully live in Thailand. How can foreigners receive mortgages or financing packages? Foreigners are able to apply for any loan packages from banks in Thailand if they have any businesses in Thailand or they have a Thai partner who will sign any loan contracts with them. They can purchase their properties in the name of Thai registered companies or the name of Thais. Foreigners can lease out their homes to other people. In Thailand, There are no restrictions for the owners to use their properties as an entirely commercial venture, for example, to rent out their homes. What are other relevant costs to purchase land and houses? There are five more items, which have to be paid in addition to the prices of properties. 5.Charges for public - service fees. (300 Baht per 4 square meters of purchased land for land and houses buyers and 200 Baht per 4 square meters of purchased land for only - land buyers) For example, if a client purchases a house on a parcel of land of 400 square meters, this fee will cost him 30,000 Baht. However, it will cost him 20,000 Baht only if he purchases only a parcel of land of 400 square meters. This fee covers the services of garbage clearness, lights of common area, 24 - hour securities, clearness of common area, clearness of sewage pipes. Each payment will be submitted as a community fund to the management team of the community, which will be chosen formally by the clients. This fund can be used approximately for 2.5 - 3 years. It means that our clients have not to pay any fees until this fund is entirely used. This fee, however, will cost our clients around 1,000 - 1,500 Baht per month per unit thereafter. 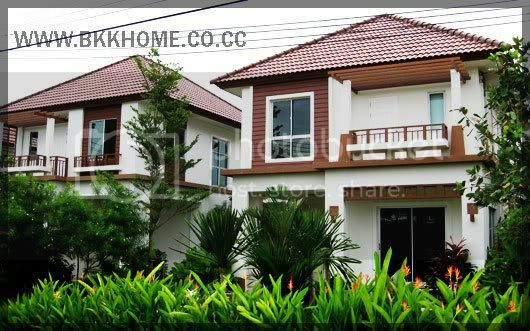 All of above is the information in brief that you should know when you desire to buy a house in Thailand. Anyway buying and selling property in Thailand can be a complex matter, and you should ask a lawyer to complete advice. This is one of few projects that designed for senior people which Similan Reef prepared for bed room at first floor. And the house still have enough space for living. However, this house model is limited only 5 units but i think you can discuss with sales person. The location is isolated. Similan Reef is situated on eastern ring road but a bit further of from main road. 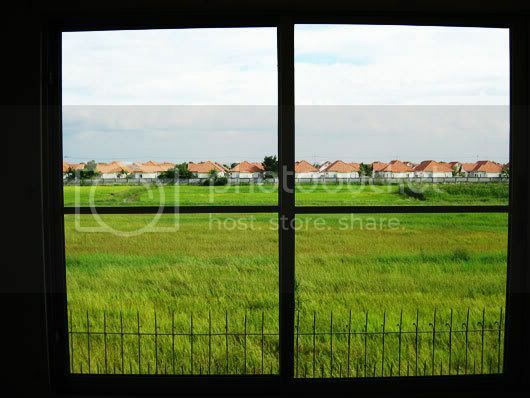 There are empty space or rice field surrounded the project. The weakness becomes the strength because you will feel like going to resort everyday. It's very peaceful. The project location is worsen than Baan Prompat. The house is well designed with the utilized area. Similan Reef has only only 2 house models. The house is laid on small piece of land 50 square wa or 200 square meter. The club house is designed with resort style. The project has only 100 units. In my opinion, the setting price is too high. At the luanching period was 3.49 MB but at the moment is 3.69 MB. Amid concerns about higher costs of construction materials, the tax incentives announced in early March have come as good news to the property market this year. Analysts expect it to improve significantly from 2007, a sluggish year due to lower confidence. The Finance Ministry led by minister Surapong Suebwonglee has essentially revived the tax incentives that proved successful in spurring the property market in 2003 when they were used by former prime minister Thaksin Shinawatra. The property sector, according to the National Economic and Social Development Board, contributes 7% of the country's gross domestic product. It serves as an important economic multiplier, leading to consumption of construction materials, employment of labour and the creation of general consumption ranging from furniture to appliances. Significantly, 90% of property spending involves local content. Prior to the effective date of the tax incentives on March 29, many developers had been concerned that unit transfers slated for March would be delayed as buyers would wait to take advantage of the breaks. Some decided to reduce transfer fees from 2% and mortgage registration fees from 1% to 0.01%. These two major reductions would allow developers to prevent a drop in earnings during the first quarter. Even so, firms expect profits to improve for the rest of the year as unit transfers accelerate on pent-up demand. Developers' profits will also improve as they benefit from a reduction of the special business tax to 0.1% from 3.3%. The result could be a windfall for developers that have housing to sell and transfer before the tax incentives expire in one year. This will include pre-built units and low-rise housing that can be built in just four to eight months. However, the condominium segment might not share in the spoils as big high-rises take up to two years to build. As well, condo developers are facing stricter Environment Impact Assessment (EIA) rules and more zealous enforcement of other building laws. Anant Asavabhokhin, chairman and managing director of Land & Houses Plc, the country's biggest residential developer, said the resulting construction delays would be exacerbated by higher construction costs, especially steel prices that have risen more than 40% from last year. Many developers last year stockpiled thousands of tonnes of steel so they could control costs and maintain unit prices but the inventories have almost run out. Despite higher costs, developers are reluctant to raise selling prices too much as they might scare off buyers or lose market share to rivals who do a better job of controlling their costs. Even so, increases of 5-10% are likely. Helping the market will be the long-delayed start of work on new mass-transit projects that increase the potential of several neighbourhoods in the capital. Buyers, meanwhile, can expect lower interest rates in line with the steep reductions made in the US, although the size and pace of cuts locally could be more modest, given concerns about inflation. Also enhancing buyer confidence is a new regulation on escrow accounts that is finally expected to be enacted this year. The new law will, however, affect smaller developers as they cannot use downpayments as cash flow. Many developers this year have resumed investment after limiting budgets last year. Some are focusing on condominiums near mass-transit routes and extensions, while others will develop more single houses and townhouses. Recent data suggest that the property market this year will grow by 5-10% from last year, when newly registered units totalled 74,221 in Greater Bangkok, down 5% from 2006. Among total new registered units last year, the Real Estate Information Center said condominiums in Bangkok rose 23% to 14,316 and accounted for 37% of all housing units built by developers. The number of newly registered horizontal units dropped by 5.2% to 57,992. The largest decrease was in single houses, which fell 10% to 38,599. The proportion of single house dropped from 55% to 52%, while condominiums remained steady at 22%, up from 12-15% in 2003-05. However, fewer condominium projects have been launched since early 2008. Most are from large developers, as newcomers and smaller operators faded away from the market. The main reasons were stricter loan approvals by financial institutions and more concerns about EIA approval. Overall, signs are good for a property market rebound. The consumer confidence index rose in the first two months of the year and many developers experienced much better sales in January and February than in the same period last year. "It's all about confidence," said Prasert Taedullayasatit, chief business officer of Preuksa Real Estate Plc. "The property market depends on confidence. The clearer political situation can restore confidence." However, some developers need attractive campaigns and promotions, including events at project sites, to boost sales and encourage customers to speed up their decisions. Rooms are easy to furnish, but are they welcoming? Have you ever stepped into a dimly lit room with a large gray couch and a dark table? Surely it seems there's enough room for everything, but they won't be fitting for a large group to stay in. Here's some helpful hints. Light and Soft Hues A room looking hip is typically a matter of the walls. 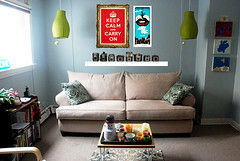 In a small living room you can try painting it with 'cool' colors like blue or green. Make sure the shades in the room are of darker color, to compliment the entire room. If you follow those rules, you can actually give the appearance of a higher ceiling. Tips with Window Treatments If you have window treatments, you can use them to give the appearance of height. To accomplish this feat, just have them move up towards the ceiling. Definitely worth a try. Oversized Objects Oversized or over-scaled pictures can be paintings, picture frames and patterns. With this visual trick you can make your living room appear bigger than it is. Hold on to the Necessities It's important you leave space in your living room. Sometimes the best thing you can put in a room is space. The more space in your rooms, the more free and clear it will feel. Now don't take this the wrong way and empty out the room, but skinny furniture can not only give a hip look, but help free up some room. Flowing Curtains When picking a curtain, you need to think length, and you need to think light colors. White curtains are extremely charming, but are kind of tricky maintaining. A bonus though for those willing to maintain it, is the benefit of natural cool light entering your room. Did you know the more natural air and light you have flowing in your room, the less sweaty and musty your room will smell. Heavy drapes hold in all kinds of scents for indeterminate amounts of time, they are definitely something to avoid. Coordinating Colors One of the most key things to remember when decorating your living room is to coordinate all the wall colors with the furniture colors. You're going to have to do a little research and look into what combinations are best. For example, light green goes well with white, it's bright and soothing. All kinds of combinations suit a variety of personalities. Amazing Reflective Surfaces You can pull off some stunning visual effects just with some mirrors. A small living room can suddenly look twice as large. If you have a big plain wall at your disposal, you should add a huge mirror with some artificial lighting. What this does is create a very rich and large living room layout. Chris Jensen is a contributing author of Jetfly Shop. For more related articles and views visit Jetfly Home & Garden Blog now. Also, for the best up-to-date related online products, check out Jetfly Home Decor & Accents Shop for todays current online deals. 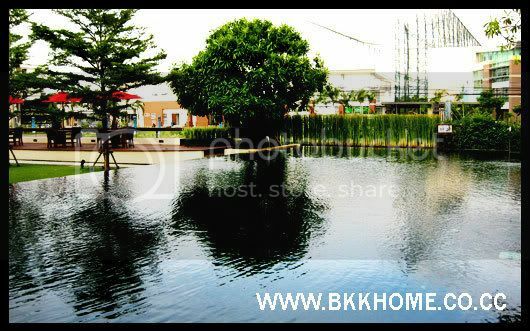 The project is situated on Lamlukka klong 4 road or Rangsit zone which are many new housing projects located.This is second project of LH in this Lamlukka area. From the observation, this project is suitable for the young family who seek the affordable price. The setting price is approxmately 2.8 - 2.9 MB for the smallest model which is appropriate for new family. 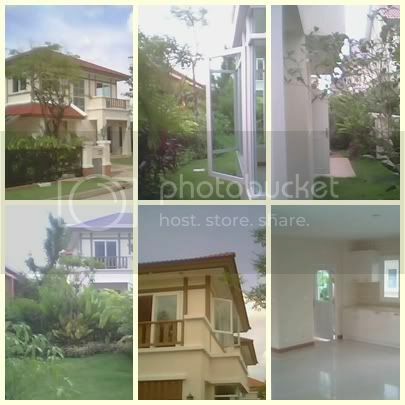 There are fully facilitated for living such as wet market, flea market, school, driving range. In addition, Tesco Lotus just opened their supermarket near by Prueklada village. The transportation system is good. The network included Rangsit Nakornnayok, Ring road and underconstruction express way. You can either use Saimai and Watchacharaphon as shortcut. The house itself is precasted. The remodelling is recommended to consult with the project engineer or experienced contractor. Prueklada landshape is narrow long. The later, the deeper. Most of houses face either north or south. There are 500 houses in the project. This is a medium sized village. 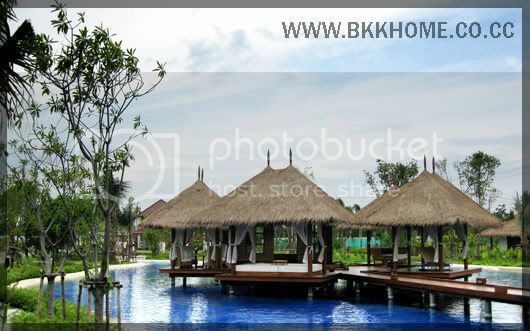 This the photos of Vararom Paholyothin Saimai project. Can read the review at this page.